And it’s my 500th post too! 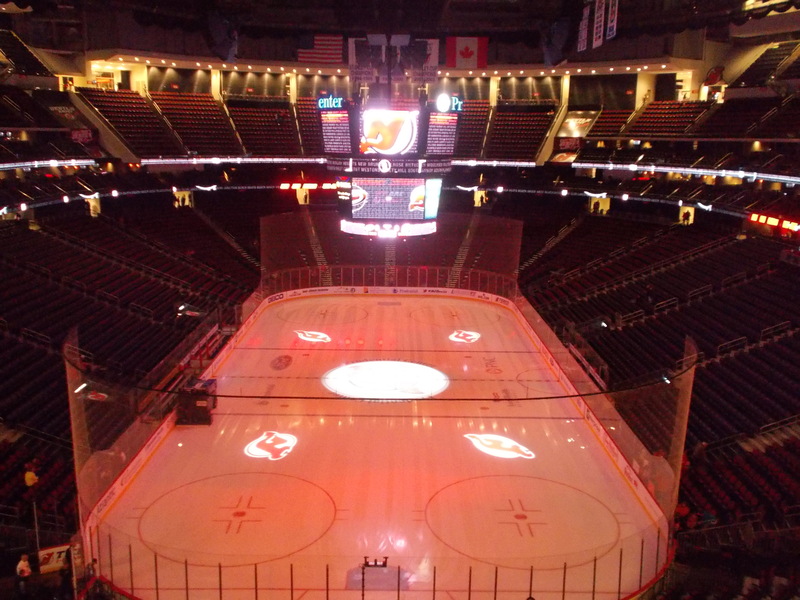 As a belated birthday present, I called myself up to New Jersey last night to see the Devils take on the Hurricanes. 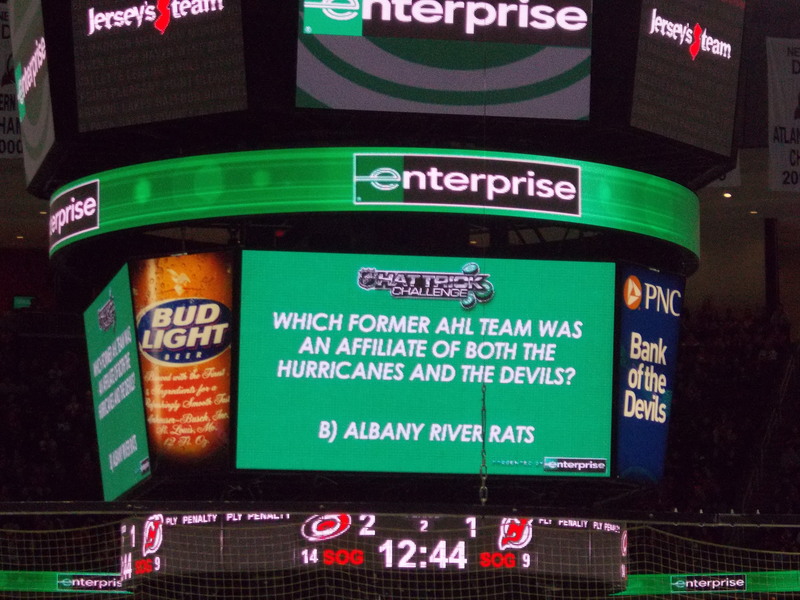 As most everyone knows, before the A-Devils returned to Albany in 2010 I got 4 years with Carolina while the River Rats were affiliated with them. Since I never got to see a Carolina game during the affiliation, last night was I guess about seven years in the making. And with 6 former Rats on the Canes, a few thought my allegiances would be tested. And thanks to one of them, it almost was. The view from my original seat in Section 120. -My “Welcome to Newark” moment of the night? As I was walking out of Newark Penn when I arrived from Secaucus, a mouse scurried past my feet on the sidewalk towards one of the sewer drains. -Seth Helgeson had been recalled on an emergency basis and was practicing with the team in the morning. By the time I arrived in Jersey, he was already sent back down. Oh well. 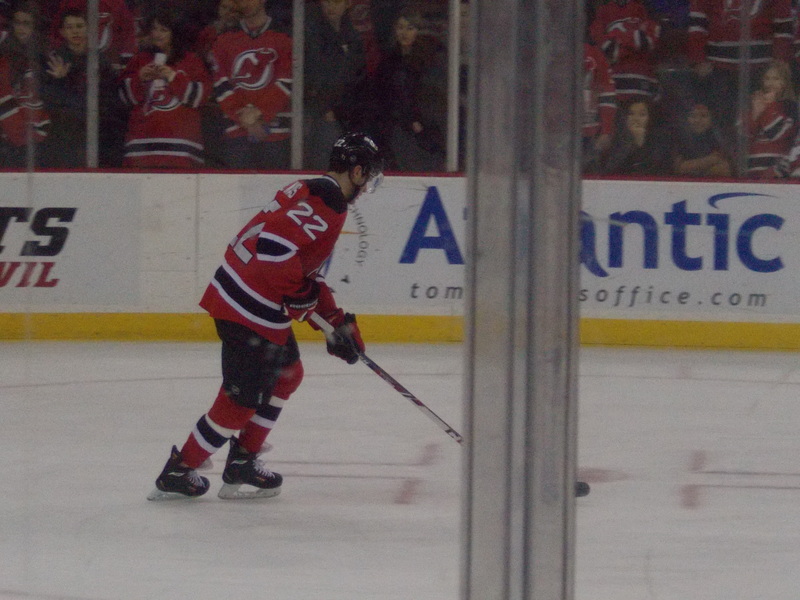 But I still got to see Eric Gelinas and Jon Merrill, even though they weren’t paired together. -Thanks to a friend from back home with an extra ticket, I got to move down to Section 2. And the upgraded view from my seat. As for the actual game? Well…not what I hoped for. Carolina jumped out to a 2-0 lead on Marty (hey, at least I got to see him play and not just warmup and get injured this time! 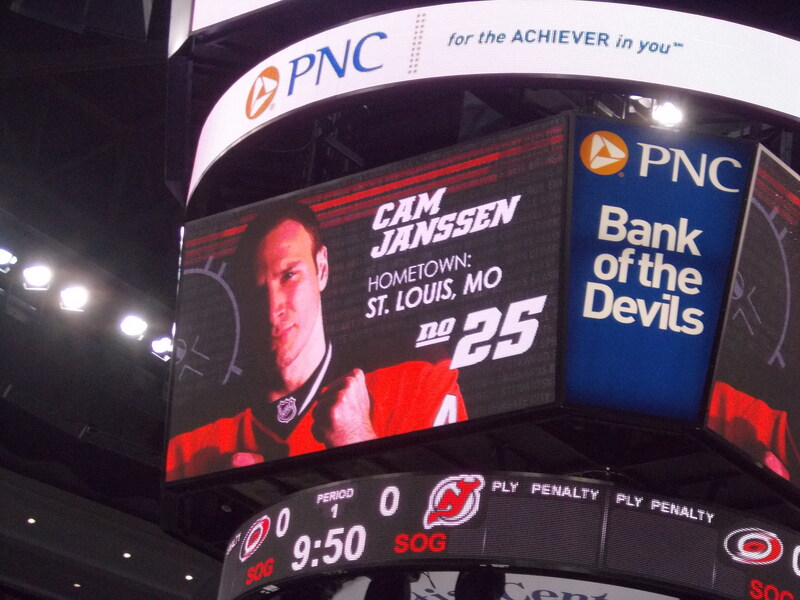 ), then Travis Zajac got Jersey on the board (and hello Seven Nation Army). The game was going along very quickly, only 2 penalties were called all night, which is something I’m really not used to down here. Of course the Devils get a power play and an Albany player scored…but shorthanded. There was a moment of “oh crap” for me when Pat Dwyer got that unassisted goal, considering he spent all four of the Carolina years here (he got his first callup during the final season, and was the captain at one point too). 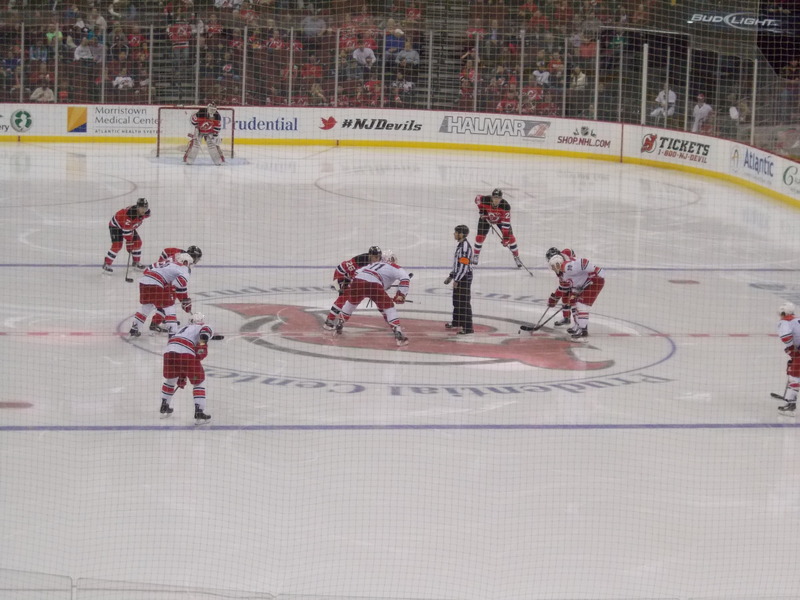 New Jersey did make it interesting in the third when Andy Greene and Jaromir Jagr scored to sort of rally. And it was only fitting that Dwyer got #1 star, because of course it had to be an Albany alum. Despite the loss, I had a fun evening. And I got to hang out for a few minutes with some of the people I interact with on Twitter on a daily basis that I never get to see since I live hours away. Thanks guys! And yes I will attempt to work on that “assignment” on Sunday we talked about. 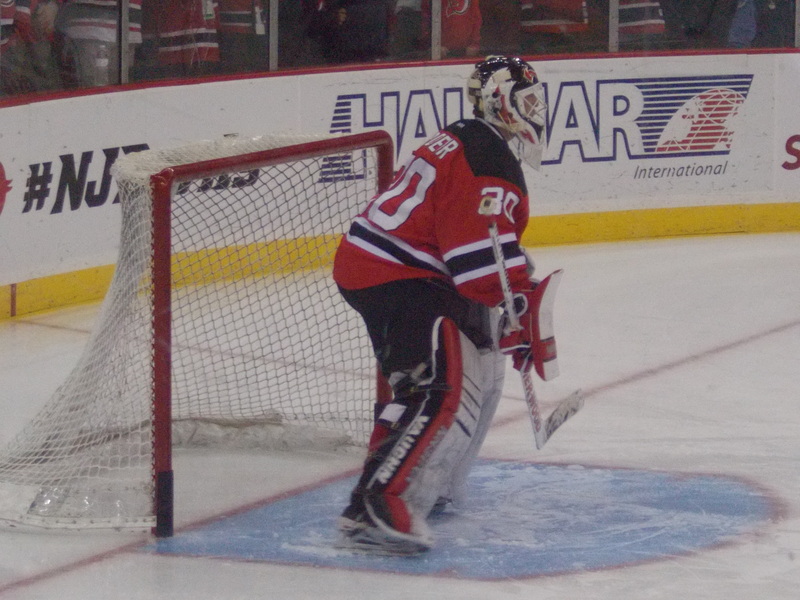 Of course if you know me, got to have a Henrique photo. Of course Cam’s in fighting position. What the night was really all about for me.